The Cadillac brand has exemplified American luxury for over a century. 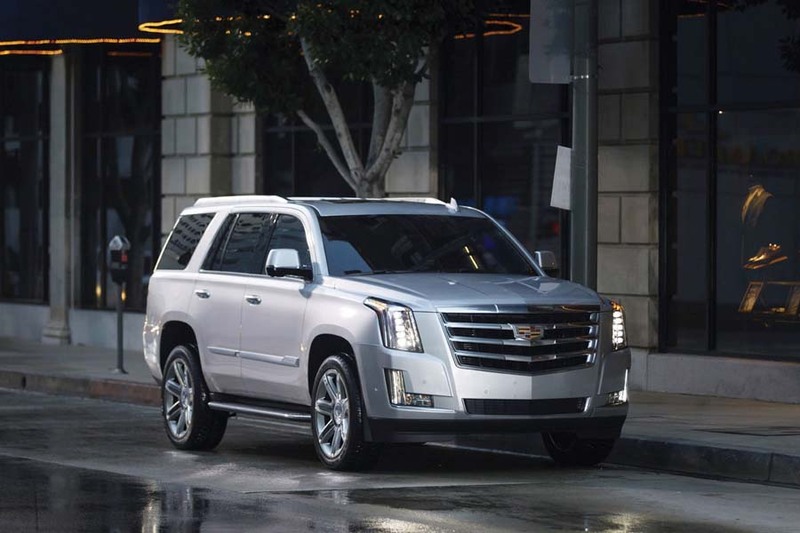 Today, the Escalade ESV is its largest canvas. Some say it’s nothing more than an overpriced Chevy Suburban. It is not. Although built with similar body components and on the same chassis, that’s pretty much where it stops. This gorgeous behemoth has a 130-inch wheel base while its body stretches over 18 ½-feet and weighs nearly 3 tons. To move this mountain of steel, Cadillac chose a 6.2-liter naturally aspirated V-8 that delivers 420-horsepower and 460-pound-feet of torque to two or four-wheels through an all-new 10-speed automatic transmission. It’s a perfectly matched combination. Ride quality is enhanced with GM’s Magnetic Ride Control suspension up front and we have to say, this is one easy-to-maneuver monster, even in the grocery store parking lot. Inside is where you’ll truly appreciate Cadillac’s attention to design and detail, not to mention the quality of materials, fit and finish. CUE, Cadillac’s sometimes maligned infotainment system, was easy to use and understand. Pricing is what you’d expect for this “lap of luxury,” starting at $85,395. The Dodge brand has owned the enthusiast market for the past few years with high-horsepower beasts like the Viper, Hellcat and Demon. Now comes the Durango SRT for 2018, a 475-horsepower “family” SUV that really hauls the mail. This all-wheel-drive, track-worthy, 3-row crossover is every dad’s dream. 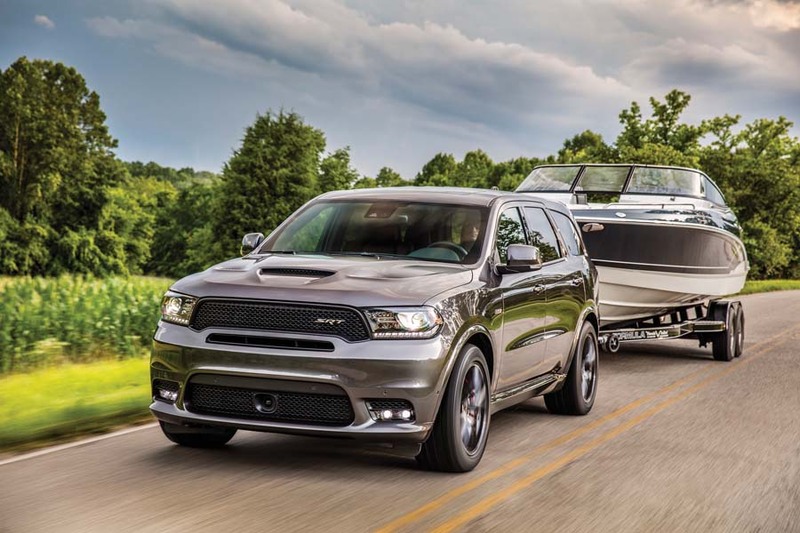 The ability to take the kids to soccer practice, or a weekend family outing at the lake and then make a 12.9 second run at the quarter-mile drag strip on Friday night, make the Durango SRT the perfect choice, not to mention its 8,700-pound towing capability. The Durango SRT gets the Dodge wide-body treatment along with special hood ducting to let cool air in and vent the hot stuff. At the rear is a lower body fascia and big, 4-inch dual exhaust. It looks mean sitting still. Inside you’ll find quality leather seating surfaces with the SRT logo embroidered in just the right places. The dash and infotainment system contain controls and displays similar to those in the Hellcat and Demon, including the famous “Performance Pages.” No fewer than seven drive modes help you keep all four wheels planted for maximum traction. To help master all that the Durango SRT offers, Dodge includes a one-day performance driving school with purchase. Pricing begins at $62,995.